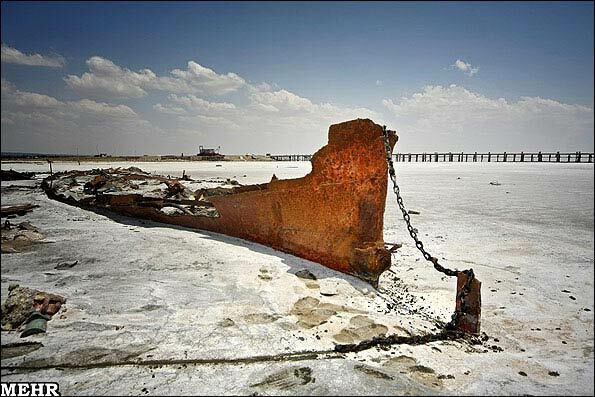 During the last Iranian calendar year (March 2011-March 2012) about 2 billion cubic meters of water were transferred to Lake Urmia, Environment Protection Organization Director Mohammad Javad Mohammadizadeh told reporters on Wednesday. However, due to frequent droughts and a warmer climate in the current year, which was 2 degrees higher in comparison to previous years, there were more vaporization in the lake, Mohammadizadeh stated. He added that currently only a third of the lake is filled with water and the rest is dry. Mohammadizadeh also stated that the organization is making efforts to convince the Energy Ministry to allow more water flow from dams into the lake. The Urmia Lake is a salt lake lying in the northwestern Iran and is home to various migratory birds including flamingos, pelicans, spoonbills, ibises, storks, avocets, stilts, and gulls. The lake is located between the provinces of East Azarbaijan and West Azarbaijan. It is the third largest salt water lake on earth with a surface area of approximately 5,200 square kilometers. Experts say construction of dams on rivers feeding the lake and also droughts have significantly decreased the annual amount of water Urmia Lake receives. They also say that the construction of a bridge across the lake has upset its ecological balance.